We’ve added the option for broadcasters to pin comments to the bottom of a live broadcast. Live videos often get many comments during the broadcast–in fact, we’ve seen that people comment more than 10 times more on Facebook Live videos than on regular videos. We’re rolling out a permalink that directs people to a page’s video content. Accessible via facebook.com/pagename/videos, viewers who visit the link will be presented with Live video if a broadcast is currently underway, as well as a library of the page’s previous Live and non-Live video content, in a simple, easy-to-navigate format. We recently introduced a series of cross-posting features to help publishers reach audiences across different pages. We’re extending these capabilities to videos that were recorded live. Now, after a publisher has finished a live broadcast, they can seamlessly post the video to multiple pages at the same time. Promoting news literacy: We will work with third-party organizations on how to better understand and to promote news literacy both on and off our platform to help people in our community have the information they need to make decisions about which sources to trust. We will help organizations already doing important work in this area, such as the Walter Cronkite School of Journalism and Mass Communication at Arizona State University, and bring a consortium of experts together to help decide on what new research to conduct and projects to fund. In the short term, we are working with the News Literacy Project to produce a series of public-service announcements to help inform people on Facebook about this important issue. Our longer-term goal is to support news organizations with projects and ideas aimed at improving news literacy, including financial grants where needed. Continuing efforts to curb news hoaxes: We recently announced improvements on our platform to further reduce the spread of news hoaxes–including ways for people to report them more easily and new efforts to disrupt the financial incentives for spammers. In addition, we launched a program to work with third-party fact-checking organizations that are signatories of Poynter’s International Fact Checking Code of Principles to identify hoaxes on Facebook. This problem is much bigger than any one platform, and it’s important for all of us to work together to minimize its reach. 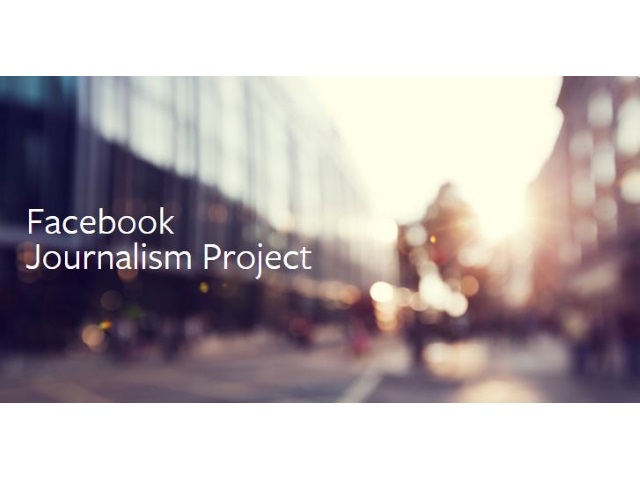 Readers: We realize it’s a lot to digest, but what are your initial thoughts on the Facebook Journalism Project?